Mel Daniels was inducted into the Basketball Hall of Fame in 2012. INDIANAPOLIS — Mel Daniels, the Hall of Fame center who helped the Indiana Pacers win three American Basketball Association titles, died Friday. He was 71. The Pacers said Daniels died in Sheridan, Indiana. "The tremendous outpouring of prayers being sent our way is overwhelming," CeCe Daniels, his widow, said in a statement. "We are so grateful for all the love. His charisma, poise and passion for life — be it horses, basketball or friends — is a template for us all, his family and his fans." The ABA’s MVP in 1968-69 and 1970-71, Daniels was inducted into the Naismith Memorial Basketball Hall of Fame in 2012. The Pacers retired Daniels’ No. 34 jersey in 1985. 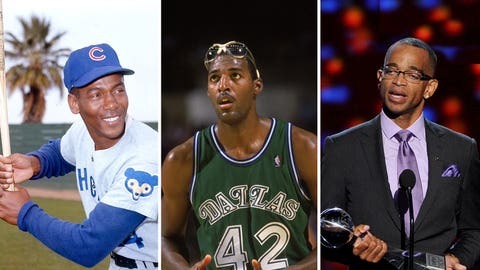 Looking back at the sports figures who died last year. "I am saddened by the news that Mel Daniels has passed away," said Larry Bird, the Pacers’ president of basketball operations. "I have known him since I was in college and he was one of my coaches. His competitive attitude reflected his success on the floor with the Pacers and the ultimate recognition, a well-deserved induction into the Hall of Fame." The 6-foot-9 former star at New Mexico was the ABA’s Rookie of the Year in 1967-68 with the Minnesota Muskies. He was traded to Indiana the following season and played on championship squads in 1970, `72 and `73, teaming with Roger Brown, Freddie Lewis, Darnell Hillman, George McGinnis and Bob Netolicky under Hall of Fame coach Bobby "Slick" Leonard. "We’ve lost a great one," Leonard said. Daniels averaged 18.7 points and 15.1 rebounds in 628 regular-season games in eight seasons in the ABA with Minnesota, Indiana and Memphis. In 109 playoff games, he averaged 17.4 points and 14.9 rebounds. He spent a season in Italy, and played 11 games in the NBA for the New York Nets in 1976-77. He was a four-time All-ABA selection, seven-time All-Star, led the league in rebounding three times and holds the league record with 9,494 career rebounds. "Words cannot express the depth of my sadness today," said former Pacers great Reggie Miller, also a Hall of Famer. "Mel Daniels was a father figure, brother, consigliere, but most of all `My Uncle Mel.’ He helped raise me into the man I am. I hope I made him proud in everything I tried to do on, but more importantly off, the basketball court." Daniels later was an assistant coach, executive and scout with the Pacers, and was an avid horseman. "Mel was a great friend of mine the whole time I’ve been in Indiana," said Donnie Walsh, the Pacers’ longtime president and current consultant. 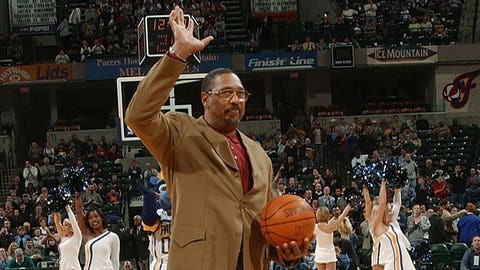 "He was a big part of the history of the Indiana Pacers. You always knew where Mel stood. He was a great competitor and poet. He was just getting ready to release a book of poems. I loved Mel. I will miss him." Daniels was an assistant coach at Indiana State — where he rejoined former New Mexico coach Bob King — during Bird’s years at the school. Daniels averaged 20.0 points and 11.1 rebounds in three seasons at New Mexico. He was selected ninth overall by the NBA’s Cincinnati Royals in 1967, but went to the ABA with the Muskies. "Mel was one of the greatest Lobos of all time," New Mexico coach Craig Neal said. "He played for Coach King and started the basketball tradition here, with his teams playing the first years in The Pit." Daniels grew up Detroit and starred at Pershing High School. The Pacers will have a tribute and moment of silence before their game Saturday night against Utah. "I join our extended Pacers family in offering my sincerest condolences to CeCe and Mel’s family," Pacers owner Herb Simon said in a statement. "We will miss him greatly, but when we look at that Hall of Fame banner in Bankers Life Fieldhouse, we will be forever reminded of what he meant to this franchise." In addition to his wife, Daniels is survived by son Mel Daniels Jr., granddaughters Trisstan and Chloe, and sisters Vivian and Wanda.